Previous ← Ironing 101 Tips. Salt. Cleans The Bottom Of Your Iron To Perfection. Next → Ironing 101 Tips. Christmas Preparations. My Iron Will Be Running HOT! Ironing 101 Tips. Vinegar. A Wonder Cleaner From The Last Century. Cleans Your Iron To Perfection. 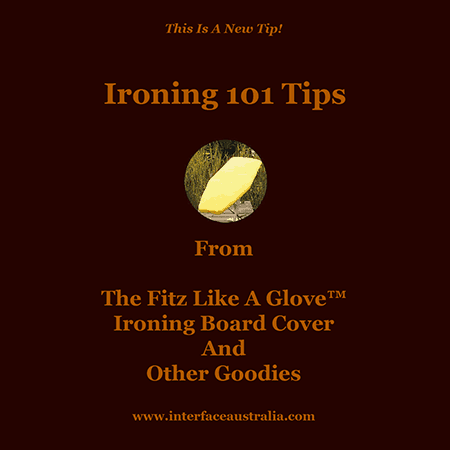 The Fitz Like A Glove™ Ironing Board Cover And Other Goodies is the hook I hang my business hat on. My beautiful rural property in the picturesque Central Tablelands of NSW is the hook I hang my heart on. ~Carol Jones, Ironing Diva? One of the wonder cleaners of the last century. For those of us who want to keep our houses clean. Without chemicals. We rely on vinegar. There are two types of vinegar. Which we use in salad dressings. And cooking. Which I use to clean my windows. And mirrors. In my dusty. Remote property in rural Australia. Where I live on a dirt road. Vinegar is a perfect ingredient to use to clean the water tank of your iron. How do you know if your water tank needs to be cleaned? These are the tell tale signs. If it’s clogged. It will spit out brown sludge. Who hasn’t been there? Seen that? What’s the difference between distilled vinegar? Regular white vinegar is 5% acidity. And cleaning vinegar is 6% acidity. The one percent actually makes it 20% stronger. Take note! Cleaning vinegar is NOT to be used for cooking. The fresh scent of cleaning vinegar smells exactly the same as white vinegar. These are the instructions for cleaning your iron. Use either distilled vinegar. Or cleaning vinegar. Fill the water tank of your iron with white vinegar. Let the vinegar soak in the tank for a few minutes. Set your iron to steam. And steam a cloth you don’t care about until your tank is empty. Refill your tank with water. Your thoughts? Email me at the bottom of this post. PS. This Ironing Diva’s iron. Ironing Board. And Fitz Like A Glove™ Ironing Board Cover. Are my gateway to leading an elegant life. There is power in the iron. The ‘Joy Of Ironing’ is far from a myth. Beautifully pressed garments. Make a statement about who you are. When you’re well pressed. And well dressed. You ooze elegance. Beautifully pressed linen. Cloth napkins. Tea towels. Pillow cases. Make your home shimmer with style. PPS. I am not only an Ironing Diva. But Bernadette Jiwa. Australia’s best selling international business author. In her book ‘Hunch’. Calls me ‘The Ironing Whisperer’. Page 73. It’s for YOU if you have ever struggled with an ironing board cover that has wheels like a supermarket trolley. It’s also your chance to put something back into the community. 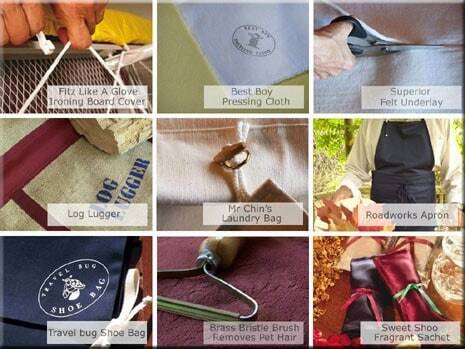 The Fitz Like A Glove™ Ironing Board Cover cover has more than 400,000 customers in 30 countries. Because it works. When others don’t. It ‘Fitz Like A Glove™’ every time you iron. Like this post? Share it with your family and friends on . . . The share button is at the end of this post. Have a question? Email me at the bottom of this post. Or phone me, Carol Jones, in rural Australia on 02 63 588 511. PS. And I have a monthly newsletter ‘Tips. And Tricks. That Make Life Easier’. You can subscribe to it below. It’s FREE! This is not a lifetime commitment. You can Unsubscribe at any time. Tips. And Tricks. To Make Life Easier. 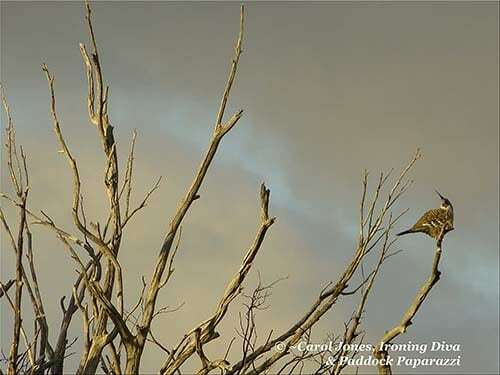 Photos of my rural property are courtesy of me, Ironing Diva – who is also known as Paddock Paparazzi – and taken at sunrise every morning. A Slash Of Blue Through Storm Clouds. At Sunrise. A Crested Pigeon Perches On A Branch Of A Eucalyptus Stringybark Tree. 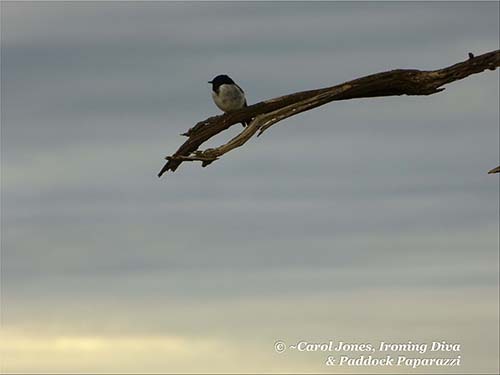 A Sky High Mr Hooded Robin. In Wistful Mode. On A Greyish Morning. My photos are on Instagram. Click here. Watch the video. The Fitz Like A Glove™ Ironing Board Cover. Why It Always Shows Off Its Bottom. And you can follow The Fitz Like A Glove™ Ironing Board Cover And Other Goodies on Facebook here.